The Weekend Awards are a somewhat serious, somewhat tongue in cheek affair in summary of the best and worst of the Premier League. here’s also the fact that Paul Lambert has his young and very inexpensively assembled side playing a tactically disciplined and creative style of football that finds room for 3 attackers, all of whom have played as a lone front man in the past. Villa are playing fearlessly at the moment and they swarmed all over Stoke. In truth, it could, and should, have been about 5 or 6 goals for them. They came out and attacked, as they have done against everyone of the last month or so and got their just rewards. Stoke on the other hand were beyond abject in attack yet again. As I seemingly have to write every week, Pulis picked a team that included absolutely no flair. Even the usual loyal Stoke fans are now openly questioning the team selection. It’s all well and good picking hard workers and players that put a tackle in to ruffle the feathers of the likes of Liverpool, their last win, but against teams like Villa it doesn’t work. Villa have been unlocked by flair this year. Suarez torched them last week, Bale got a hat trick and so on. But Pulis picked his usual hard runners and simple passers. It’s not good enough and this rank negativity is coming home to roost. They are in a nosedive. For the prior two seasons Liverpool have been stuck in a mid table malaise of their own doing caused by extreme profligacy in front of goal. They seemed to have shaken that streak this season with Suarez leading the goal scoring charts and various teams put to the sword at Anfield. But it all went wrong against West Ham. Brendan Brent bemusingly felt Sturridge’s goal was wrongly disallowed when he was clearly offside but that was misplaced criticism. There’s just something inexplicably inconsistent about Liverpool. You look at them on paper and can’t see how this sort of result, or the the defeats to Southampton and West Brom, are possible when you watch them in full flight. On paper they look good but in reality they are a mile away from the top 4. How many weeks could this goal have two legitimate contenders against it. In most other weeks Mirallas’ lovely dribble and clean finish would win, and in any other week Loic Remy’s technical masterpiece against Wigan would win but Lowton’s goal has the unbeatable combination of jaw dropping quality and gravitas. This wasn’t a dead rubber goal, it was the strike that won the game for Villa. At 1-1 they were rocking all over the place but one counter attack that wins a corner, a nodded clearance that drops to Lowton, and one outrageous volley later, and they’re 2-1 up and cruising. That moment of quality seemed to reinvigorate Villa’s young team and make them believe in themselves again. Uh huh, but the first Chelsea goal was an own goal? Plus, Chelsea were abject anyway. That’s not relevant, but it’s true. The BBC are clearly trying to freshen up their punditry ranks but Kilbane is not the answer. The thing is, there isn’t an obvious reason as to why he is being pushed so hard. He was a moderate player, isn’t outspoken and also doesn’t offer unique analysis. So he doesn’t doesn’t tick any of the boxes. For all the criticism that goes in the direction of a lot of pundits, at least they have been there done that. Even if they can’t articulate how. Kilbane seems like a nice bloke but what does he add? When he makes his first pun or reference to an unpronounceable name with a knowing glance to Gary we’ll know he’s made it. Rafa Benitez’s latest comedy press conference has caused quite a sensation. The interesting thing is, his biggest objection was that he was given that title of ‘Interim manager’, as if it was this alone that turned the Chelsea fans against him. Did he think that they would have backed him wholeheartedly if he had been called ‘Manager’ as he insisted last night? Per BBC Radio 5 Live he said that; ‘He was only given the title so the club could “wash our hands” of him if he failed’. Now, this may well be true, but surely he knew that when he took the job. Everyone knew that he was just keeping the seat warm before a push to get Pep Guardiola to Stamford Bridge. When the news broke that he would be at Bayern next year it is possible that Rafa felt as if he would have a chance at getting the job permanently. In fact, it is probable that when he took the job after Di Matteo he felt as if he was inheriting a no lose position. If he did well and got Chelsea back in to the Champions League along with the very real chance of winning the Club World Cup and the League Cup, which were both on a plate for him, he could either make a case for himself getting the job permanently or leave with his reputation enhanced. The problem was, after a lot of comments about Chelsea when at Liverpool and the fact the he replaced Di Matteo so soon after he was dismissed meant Chelsea fans were against him from Day One. The fact that it was Benitez made it worse for Chelsea fans, but really the protests directed at him are the only way Chelsea fans can direct any opposition to the senior management. Short of Mourinho or an ex-Chelsea player replacing Di Matteo, it was always going to be a very hot seat. The fact that results haven’t been up to scratch only makes things worse. Some superb performances have been mixed with some atrocious ones, a pattern of performance which is actually very similar to that which was produced under Di Matteo. But, Di Matteo won the Champions League AND played for Chelsea. You can argue the merits of Chelsea’s win all you like, but the trophy is in the cabinet, and it was Di Matteo who lifted it and that is how he is remembered. The only way he could have won the fans over would have been with excellent results. Sky Sports News is showing a stat that Benitez has only won 52% of his games. He may well blame this on the fans but they were happy to cheer when Chelsea slayed Villa 8-0. Certainly the atmosphere doesn’t help the team but they can’t be blamed for the results. How about blaming things like; resting Juan Mata in league games but playing him for 120 minutes in the League Cup and 90 minutes in the Europa League, not playing John Terry over Cahill/Ivanovic in important games, stumbling over the ability of David Luiz to play in midfield and then abandoning it , dropping the in form Azpilicueta against City with both goals coming down the same flank he’d be protecting and the big one, playing Torres over Ba despite all form to the contrary. These things don’t help with gaining popularity. Click on the links below for a little nugget from each club in the Premier League. Are Chelsea lining up David Moyes to be their next manager? Will his good form at Brentford help Marcello Trotta in to the first team picture at Fulham? Will Man City regret it if Balotelli leaves? Do Spurs need a new striker? Are Arsenal’s new boys starting to make up for the loss of van Persie? Are Norwich looking to Portugal for a solution to their striker search? A daily round up of nuggets from all 20 Premier League teams. Are Arsenal planning a move for Barcelona striker David Villa? 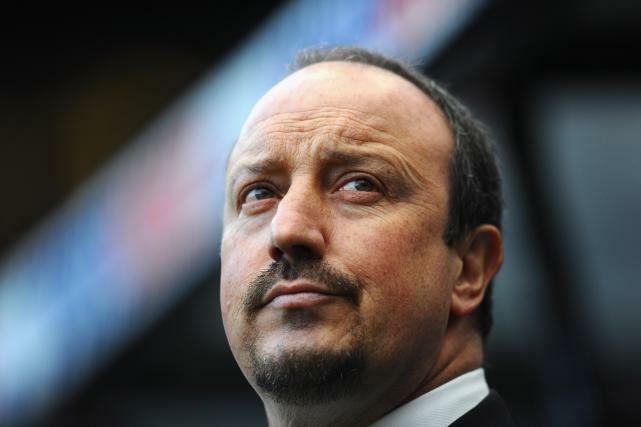 If Chelsea win the Capital One cup, will Rafa Benitez be named manager on a permanent basis? Everton have sold out their ticket allowance for the weekend FA CUP tie at Bolton. Liverpool’s Jordan Henderson is confident his recent upturn in form can continue. Can Phil Jones be the answer to Man United’s midfield questions? Can Norwich prise Gary Hooper from Celtic? Reading’s Adam le Fondre wants to continue his run of good form by starting games. Southampton will look to La Liga for reinforcements. Sunderland confirm that Danny Rose will remain on loan for the rest of the season. A look at Tottenham’s quiet start to the transfer window. A plea for West Brom fans to be patient with Steve Clarke and his stuttering team.